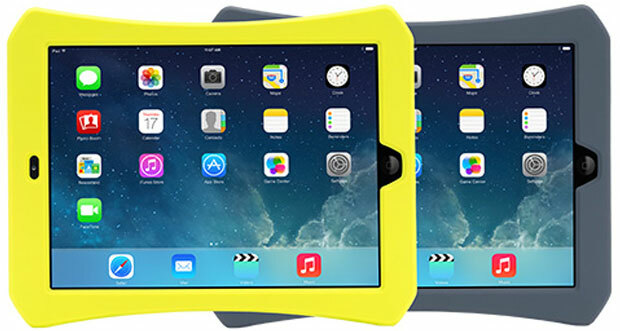 The iPad Air gets a brand new rugged tablet case from Griffin – the Survivor Play. With their extensive experience in making tough accessories, the manufacturers know a lot when it comes to shielding a tablet from impacts and dents. The tough silicon material will absorb shock and vibrations while the inner plastic skeleton strengthens rigidity of the case. All ports and buttons are protected with rubber covers. The unique design with a double wedge provides users with a tight two-handed grip on the case.